In this digital age, it's more important than ever for artists to have high quality digital documentation of their work. 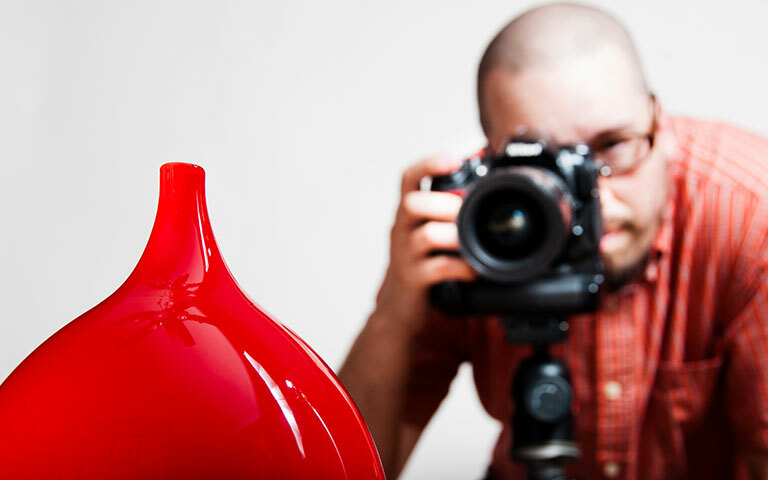 Pittsburgh Glass Center is excited to partner with Porter Loves Creative to offer affordable photography for local artists. Artists can book one or more 25-minute sessions on Monday, April 8, 2019 to get professional images taken of artwork for your online store, portfolio, website, in show and grant applications, and more. The cost is just $55 per 25-minute slot. Register online or call 412-365-2145 to book by phone. A headshot, or professional portrait, is another essential element for marketing your work. Whether it's for your website or social media, a conference where you will give an artist talk, or for the news media, the need for a good headshot always comes up when you least expect it! PGC will also offer an opportunity for artists to book a professional portrait session on Monday, April 29, 2019 for just $30. Register online or call 412-365-2145 to book by phone.